We understand lighting can be a challenge on any project. Having worked in the industry for many years we can help you create the perfect lighting design. We can offer you ideas and create a bespoke design for your home, garden or business. We have been involved in many challenging and exiting projects over the years and our understanding of lighting and the effects it can have on a space are unrivaled. We always get great feedback on our designs and most of our new business comes from customer recommendation, but please feel free to check out our possitive reviews on trustpilot or on google. We also post images of our designs and work on social media so you can see what projects we are working on and the designs we have created. Below are a few examples of the lighting designs we have worked on. From barn conversions to striking modern new build homes. We take time to consider each area, the layout, atmosphere, furniture and charector of the property. We will listen to any ideas you have as ultimatley it is your home, so has to be right for you. We will make sure we have considered both the primary and secondary lighting for a room and that nothing is missed. We work closely with leading designer brands and the quality of the lighting we supply compliments our design work. 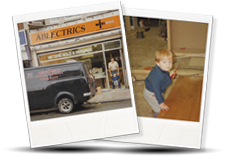 Having been in business for over 45 years we understand our customers and what we need to do to stay ahead of our competitors. We have a new lighting showroom in Bristol with an inspired choice of lighting on display, including our range of LED tape and the Fraser Besant Lighting collection which is all designed and handmade in our Bristol workshop. As part of our lighting design service we would always recommend a visit to our lighting showroom to see the various styles of lighting and the way different colour temperature lamps can affect a room. Unlike most companies who are choosing to invest in websites and online marketing we always put our showroom first. Keeping it up to date and making sure the lighting we showcase is on trend and looking its best. The showroom not only displays the fittings it shows how they will light a space. If you already have ideas or a lighting design from a builder or arcitect we can check to ensure everything has been considered and will work. We can go over every aspect of the design room by room. We can over lay a lighting design onto a CAD drawing which can be easily followed by an electrician making life on site a lot easier. We can create lighting mood boards considering style, working with colour schemes, furniture and other decor to ensure the lighting chosen is perfect for the space. We can order samples and can work directly with builders and contractors to help you through every step of the process. We can arrange staggered deliveries to meet tight deadlines and ensure from an electrics and lighting stand point that everything goes flawlessly. Below is a small selection of the larger companies and brands whom we have worked with over the years, all of whom are happy to recommend our services and have allowed us to use their branding on the website to showcase our portfolio and our working relationship with them.